at the Anderson Graduate School of Management at UCLA. Has the real interest rate been unusually low? Were lower market-beta portfolios good crash hedges? Is the CAPM a reasonable approximation? The CAPM is not even close to a reasonable approximation. It does not fail in the nuance; it fails in the basics. Source: Welch (Corporate Finance textbook), 2017. Are Info Cascades relevant with many actions? Even for good signal accuracy (p=0.6 on signals H or L), the expected (asymptotic) distance from the best action with 10 equally spaced possible action choices is still >10%. Are referees reliable in academic paper assessments? Over the last x years, what would you have earned? Estimated over the last 50 years (1967-2017), the equity risk premium was about 1-2% above long-term Treasuries. The term premium was twice as large, about 3-4%. How has left-tail disaster risk evolved? There was a modest increase in left-tail disaster risk after 2008, but nothing like the two sharp increases in 1987 and 1998. Most ex-ante risk was generic and not left-tail specific. What would left-tail disaster insurance (have) cost? Protection against sharp drops in the stock market has different prices at different times. It costs around 0.2%/year as of 2018. Could lagged dividend-price ratios predict stock returns? Are portfolio reversals&momentum proxies of stock reversals&momentum? Individual stocks can show reversal/momentum when their portfolios do not, and vice-versa. A sensible test should not convolute a theory of one with data evidence on the other. Unfortunately, dominated tests are common in the literature. 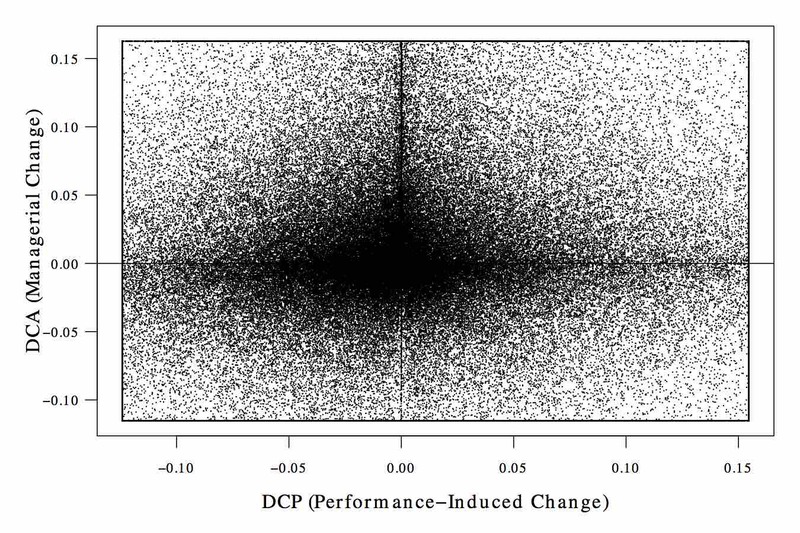 Have returns of portfolios of S&P500-changers changed over the decades? LHS: Portfolios of stocks added to the S&P500 did not revert (within 6 months) in the 1980s, but fully reverted in the 2000s. RHS: Portfolios of stocks removed from the S&P500 had tremendous post-removal performance from 1985 to 2008. 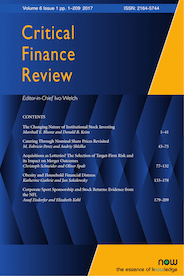 Did firms target specific leverage ratios? Corporations did not systematically seek to undo (counter) value effects on their leverage ratios. Ergo, managers did not seem to (aggressively) target stable leverage ratios. Source: Welch, JPE 2004 and CFR 2013. I am currently experimenting with Julia, a new scientific programming language. In the course of learning it, I am writing a Julia Cookbook to help others. I know it is a strange hobby, but I am not the only economist. Are Interest Rates Really So Low? ? 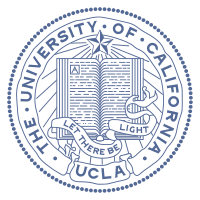 UCLA Anderson Review. Zocalo: Bitcoin Is an Energy-Wasting Ponzi Scheme and al jazeera. This website is also available in encrypted https://www.ivo-welch.info form in case you are paranoid.